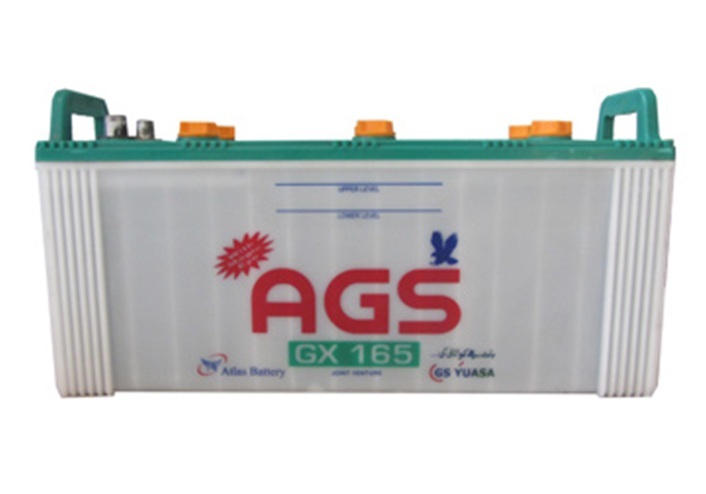 AGS GX 165 Battery from Atlas Brand consist of 21 Plates per cell with C Polarity per cell. Its AH 20Hr is 125. You can use this battery with UPS, solar panels and Vehicles. Its dimensions in inches are 19.76 Length x 7.08 Width x 10.03 Height. This product is available with 6 Months warranty. Disclaimer:We cannot guarantee that the Specs/Price of AGS GX 165 on this page is 100% correct (Human error is possible). For correct info. always visit the nearest local shop. This Battery Price is valid in all cities of Pakistan including Karachi, Lahore, Islamabad, Faisalabad, Multan, Rawalpindi, Hyderabad, Gujranwala, Bahawalpur, Peshawar, Quetta, Gilgit.